Don’t worry. 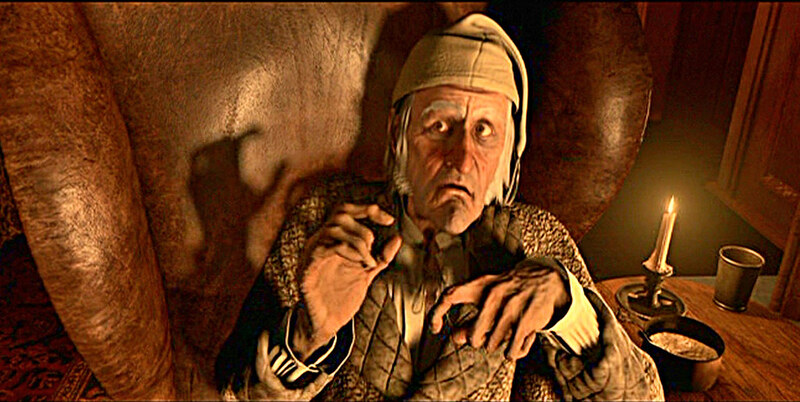 I’m not a curmudgeon exclaiming “Bah Humbug” at every checkout. I’m like Ebenezer Scrooge because I’ve seen the error of my ways, and it’s time to make amends. A few years ago, I chased kids who wanted to play games like Slitherio and Mope.io out of the library. Literally. Then, like Ebenezer Scrooge, I woke up and realized I was doing it all wrong. A few months ago, I wrote about why I decided to allow gaming in the library. This decision represented a change of heart for me. I wasn’t completely sure if I was making the right decision, but I thought a little experiment couldn’t hurt. I promised readers an update on my gaming policy, so here it is. I never advertised the fact that I had lifted the ban on playing games, but somehow word spread. Now that the weather is getting colder, more kids want to play games instead of going outside for recess. Had I turned a quiet sanctuary for book lovers into an arcade? Should I be forcing kids to play outside and get fresh air and exercise? To game or not to game: that is the question. Whether it is nobler in the library to suffer the paper cuts and eye strain of outrageous stories or to take arms against a digital animal and by opposing, end them? I realized that to answer this question, I had to think about the purpose of a library. Is a library a place to work quietly on a Chromebook? To daydream? To read? To meander rows and rows of books and to stumble upon a well-worn beloved classic or a popular new release lovingly wrapped in shiny mylar plastic? Yes. A million times, yes. But a library is more than just a warehouse of books, or an inviting chair in the corner, or a place with great WiFi and a printer. A library is nothing but an empty shell without the students, the teachers, and the parent volunteers who transform a beautiful room into a special home-away-from home. And what I’ve realized is that while silence is golden, noise is sterling. Noise is conversation, connection, collaboration, laughter, merriment and fun. Silence can be peaceful, but it can be lonely. One man’s noise is another man’s music. It’s all relative. I like things a little messy, a little noisy, and a little unexpected. I like the scratches on the furniture and the books that are out of place. I like the forgotten headphones on the table and the chrome books that were never put away. I like the scraps of paper that have fallen to the floor. You may call it clutter, but I call it evidence of a place that is well loved. Sure, my gamers are noisy. After all, it’s not easy foraging for food in a virtual forest. Sure, I have to set limits. We have a big research project coming up in January, and I have already warned the fifth graders about the hiatus on gaming. And I’m not going to lie. There have been times when it’s gotten a little too noisy and I have said to myself, “What am I doing?” So here’s my answer. I’m meeting fifth graders. I’m forging friendships. I’m offering unsolicited advice on a variety of topics, from eating a healthy lunch, to showing good manners, to reminding kids that sometimes teachers are hard on students because they want the best for them. I’m welcoming kids to the library who may not be interested in typical after-school clubs. I could go on and on, but I won’t. All educators are unsung heroes and I’m not here to imply that letting a few kids play Mope.io means I deserve a medal. I’m not special because I let kids play video games. I’m not special at all, really. I’m just a regular librarian who remembered that my job was not to shut students out, but to welcome them in. So come on in. Interrupt me. Please. Without you, I tend a garden where nothing grows. A library is nothing without the people who use it. Readers, doodlers, thinkers, daydreamers, gamers, researchers, artists, coders, poets, and learners, you are all welcome here. Come on in. I’ll be waiting for you. On Wednesday, June 7, Forest Avenue School unveiled its renovated school library. .. There's been a lot of change at Verona High School this year: ..
National Library Week (April 12 - 18, 2015) is a time to .. The Friends of the Verona Public Library are excited to announce that ..
September is National Library Card Sign-Up Month and in celebration, Verona Library .. The Verona Public Library is once again doing its part to encourage ..